The epitome of accuracy, the Radio-Controlled Wall Clock Accuwave II receives a radio signal from the cesium atomic clock, the most accurate clock in the world. This timepiece automatically sets itself and adjusts for Daylight Savings Time. Its’ white dial with crisp black Arabic numerals make it easy to read. The surrounding black case and glass crystal complete the look. 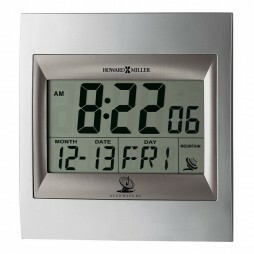 The Murrow Radio-Controlled Wall Clock features a white dial with black Arabic numerals surrounded by a satin silver bezel. The Accuwave DS clock is finished in Windsor Cherry over select hardwoods and veneers and has radio controlled, battery operated movement. Truly a blend of style and function! 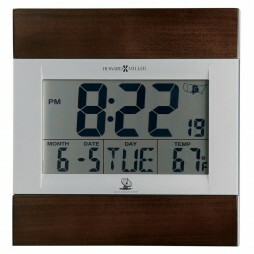 Never set your clock again with the most accurate movement available! The Altus Mantel Clock is radio controlled and picks up low frequency radio signals from the U.S. Atomic Clock in Fort Collins, Colorado which sets the time automatically. 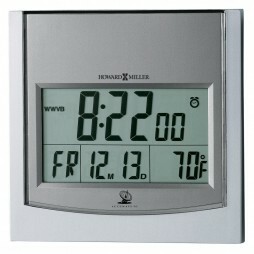 It sets to all U.S. time zones and automatically adjusts from Standard Time to Daylight Savings Time and back. 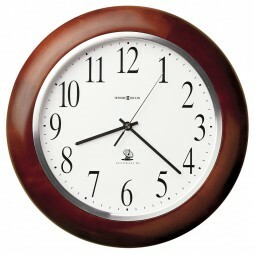 The design features a solid wood case in a rich mahogany finish with a glass lens. Customize it for gift giving or commemorating a special event on the brass engraving plate that is included. 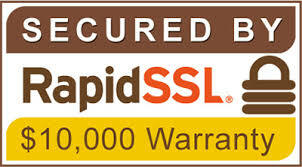 are known for precise accuracy to the second, always receiving updated information. 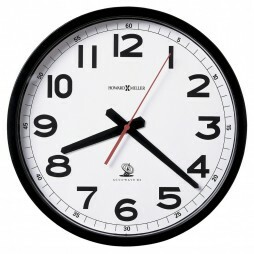 The daylight savings adjustments enable them to self-correct whenever the time goes forward or back. Their proven accuracy means that they seldom need any adjustments whatsoever. Do you know how they work? They basically receive updates of time and date over the air. The updates are carried by a long wave signal that is constantly broadcast. The signal, also known as a time code, is normally transmitted by a radio transmitter that is connected to a time standard like an atomic clock. A time standard is a specification used to measure time. Atomic clocks are considered to be the most accurate time standards and are used globally as the primary time standard for international time. 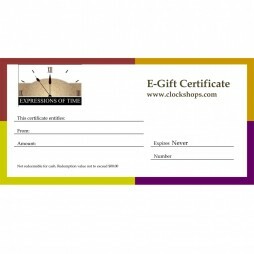 Thanks to the breath-taking advancement we are witnessing in technology, radio-controlled clocks are no longer expensive and this is why we can afford to stock plenty of them at clockshoppes.com. Expressions of Time takes style and design as a matter of priority as we work passionately to cater to the fine tastes and preferences of our clients. 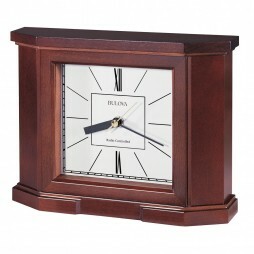 Some brands you can consider include Bulova, Howard Miller and River City Clocks; who have given us wonderful clocks such as the magnificent Howard Miller Techtime I-Radio Controlled Clock, Howard Miller Murrow Radio Controlled Wall Clock and Bulova Altus Radio Controlled Mantel Clock which picks its radio signal from the Atomic Clock based in Fort Collins, Colorado. They all include the proven promise of accuracy. All time zone clocks, like the Radio Controlled Schoolhouse Oak Wall Clock, allow you to select time from time zones including the Pacific, Eastern, Central and Mountain. The designs are equally attractive with elegant finishes including the cherry finish and the oak finish. If you have any other questions, or we can be of further assistance, please contact us. We’re here to help.